Far too often, reading the Bible seems like just another obligation to check off your to-do list. But the Bible is so much more than a boring book of rules and regulations and stories of plagues and punishments. The entire Bible is a love story, and every chapter is a scene in the epic romance between God and humanity. 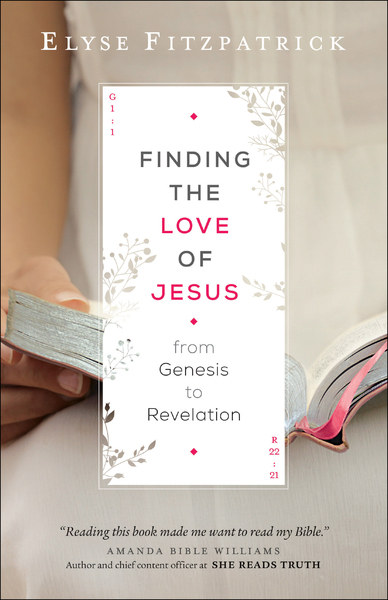 In this sweeping overview of the Bible, Elyse Fitzpatrick reveals how each section--the Law, history, poetry, and epistles--points to God's eternal love for you and the good news of redemption through Christ. You'll find yourself drawn to the Bible like never before as you begin to see Jesus on every page. Discussion questions make this a great book to study on your own or with a small group.